Pets in a home show us with unconditional love and are great companions. There are part of the family. So, you love your pets, have to be loved back. However, maintaining them is not a walk in the park. They like jumping around, playing and messing with our floors and furniture. Truth is you cannot always be there to keep watch over your pets. They deserve free space for them to play happily without you having to watch over them. Here are 5 ways to make your blinds pet-friendly. These will help your pets to be in a safe space to place without injury or accidents. Keeping pets at home requires providing a safe place for them. It ensures that when are playing, they don’t get to harm themselves. If you are to have a pet-friendly space in your home, one important consideration is your window treatments. Do you doubt that window treatments might have a risk of causing harm to your pets? Well, pets enjoy playing with whatever gets within their reach. And, your window blinds might come their way. Imagine if your blinds have hazardous cords or other parts. Your pet might get entangled up in them and get strangled. Many accidents have been recorded with pets severely injured while playing with window blinds cords. To keep your pets safe at home, below are some ideas. Motorized blinds will help to keep your pets safe. This is because they have no cords which might entangle your pets. 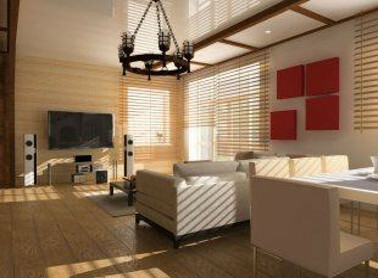 Remote control window blinds are comfortable and convenient to use. With these, you can operate your window treatments at a touch of a button. It will offer you unparalleled convenience and keep your pets free from danger. Do you have cords on your window treatments? Ensure to keep them away from your pets. It reduces safety threats and helps to keep your beloved pets safe. If your window cords can be reached by your pets, there is a likelihood of the cords becoming a strangulation hazard. One of the safest options to make your home a haven for your pets is to go for window treatments with no cords. It’s a more reliable option to keep your beloved pets alive and kicking. Consider installing cordless window blinds in all bedrooms plus the sleeping area for your pets. Curtains are one of the essential items to make your home look elegant. Do you keep young pets around? Be careful. They might sometimes tug on your curtain draperies as they play. There is a high risk of injuries in case the curtain rods or blind casings fall. Prevent this by fixing the rods and blind casings into the wall stud. Consider fixing the rods to their wall anchors as a means of eliminating any risk of the mounting brackets becoming loose. You must have all window blinds properly fixed in your home. Your pets might be playing around and pull the blinds. If the blinds are incorrectly installed, they might cause damage in case they fall. Measures have to be taken to ensure proper installing of the cord stops. Adjustments have to be made as a way of limiting movement of your inner lift cords.